It’s Bertolt Brecht’s quote – What kind of times are these, when to talk about trees is almost a crime because it implies silence about so many horrors? 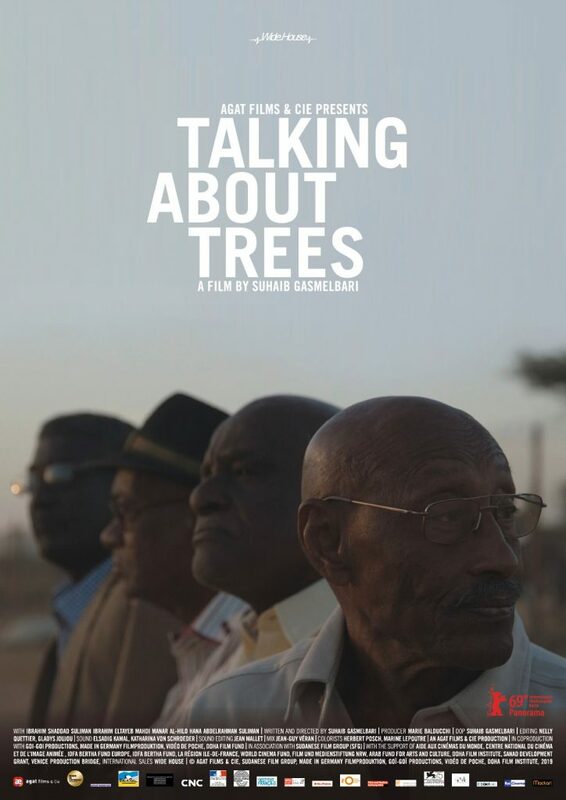 – that served as the inspiration for the title of Suhaib Gasmelbari’s documentary “Talking About Trees” about the attempts of four enthusiasts to bring the art cinema to Sudan. The ambition of the Sudan Film Group, which the filmmakers Ibrahim Shaddad, Eltayeb Mahdi, Suliman Mohamed Ibrahim and Manar Al Hilo founded together in 1989 (later joined by the only female member Hana Abdelrahman Suliman), may sound humble: reactivating the former “Revolution Theatre” where they wish to screen films from the already decimated archive for the audience that had forgotten what the cinema was in the first place. As they progress with preparations for their project, the neighbourhood is getting excited about the prospects of “English-speaking” and Indian films (Bollywood productions) being shown in the theatre. Old films, as the people refer to classics, should be left for later, when the audience gets used to moving images in other place than home. “It is nicer to laugh with friends in the cinema, then watching films alone at home”, remarks one youth during the break of a football game that takes place right in front of the theatre. A questionnaire is being handed out, and the neighbourhood starts gathering, treating the questions with a seriousness of a political voting body. Not only responsible for the script and directing, Gasmelari is also behind the camera, following the men’s plight to make their dream come true. He eavesdrops the conversations in their office, or in a candlelight-lit room. 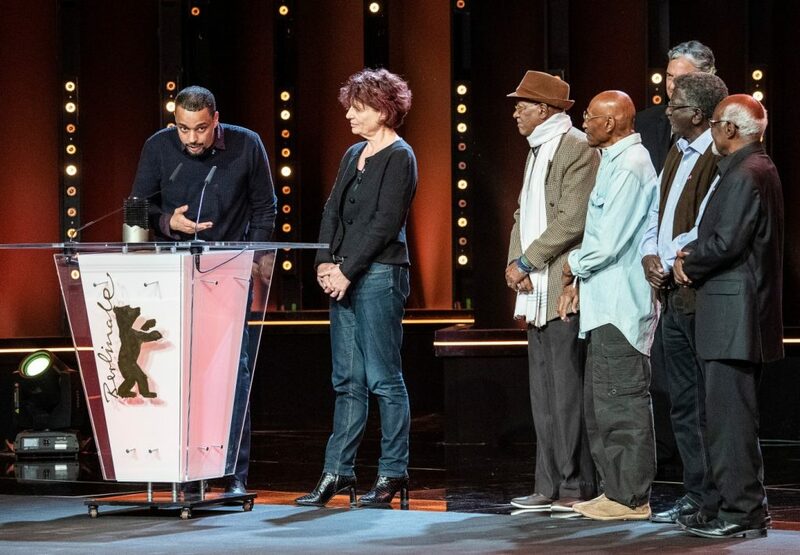 It is not a deliberate decision to “stumble in the dark” – the Sudan Film Group doesn’t only have to deal with a complicated bureaucratic procedure, but also with the Sudan electricity company that isn’t capable of fixing the power break days after it occurred. The conditions under which the four aged men are plotting the project are more than challenging. Despite of bitter experiences in the present and past summarized in a line “The ignorant tyrants have torn our dreams to shreds and emptied our lives of substance”, taken from a letter that El-Tayeb wrote from Germany to his friends in the 1980s, the group’s spirit doesn’t break. The story of directors who marked the Sudanese cinema and who spent a good chunk of their lives studying and living abroad, reflects a piece of modern Sudanese history influenced by military coups and political unrest. In the 1950, there was the Sudanese Film Unit that mainly concentrated on producing films about state-related matter, and it was replaced by the State Cinema Authority in the 1970, which completely dictated the content of the cinema, turning it into a propaganda machinery for the liberation movements. During that period, many young aspiring filmmakers went to the former East Bloc countries to pursue their studies. When they came back, things went from bad to worse – their country was going through a long period of armed conflicts that damaged the economy and the cinemas were government’s last worry. Today, the theatres stand empty and derelict. Ibrahim Shaddad (chairman of the Sudan Film Group), Eltayeb Mahdi, Suliman Mohamed Ibrahim and Manar Al Hilo are not only fighting to save the film reels that have suffered from the years of neglect, they are also trying to recover their own works. There is a moment when Ibrahim, who studied at the VGIK film school in Moscow, is reaching for Russian help in finding his graduation short “Africa Jungle, Drum and Revolution” (1978) about representations of Africa in Soviet society. In Sudan reigned by the dictator who stays in power due to good relationships to the United States, culture is under censorship and films are no exception – they need to comply to moral laws of the state, preferably not gathering a crowd to watch them. For this and reasons related to many an armed conflict, the theatres that once upon the time showed the films from all over the world, have abruptly died. Once bursting with life, they became abandoned and derelict, waiting to be turned into huge wedding venues and shopping malls. “Talking About Tres” is a French (Agat Films) – German (Made in Germany) – Chadian (GoÏ GoÏ Production) – Qataris (Doha Film Fund) coproduction.